The condition of your teeth has a significant impact on your health and happiness. Denture wearers understand this all too well, as does the team at Vitangeli Dental in Englewood OH. While dentures are preferable to having no teeth at all, they certainly come with drawbacks. They can irritate gums and make breathing, eating, tasting food, talking, and laughing difficult. And dentures are not a once-and-your-done solution for missing teeth. As the jaw shrinks, they require relines. But there is hope! 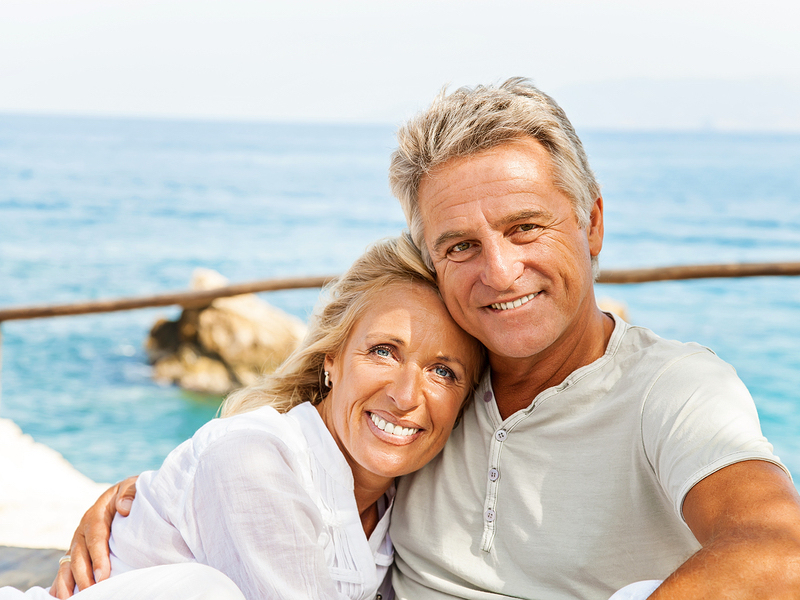 Dental implant technology can improve the quality of life for people who have been wearing traditional dentures. To a certain extent, implants halt the downhill progression of declining oral health due to tooth loss. Dental implants are titanium posts placed in the jaw, and in time they fuse with the bone. This created a secure base to support dentures. Mini dental implants (also called denture-stabilization implants) allow dentures to be securely attached, so they won’t slip or irritate gums. Did you know that some denture wearers retain only ten percent of their chewing capacity? Implant-supported dentures can stop bone recession and restore near-normal chewing ability. Improved chewing function with implants can result in better nutrition and overall physical well-being. The psychological benefits are equally valuable. Vitangeli Dental in Engleood OH is a provider of implant-supported dentures and other restorative dentistry. We also offer cosmetic dentistry. Schedule an appointment with us today.